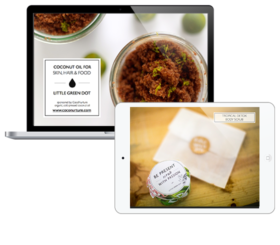 I once chatted with the manufacturer of a natural skincare line and he revealed a secret to me… Let’s see what you think. He offers a range of around 8 different natural products, from shampoo to body wash to toothpaste. But actually, for most of the products – the contents are exactly the same. Same ingredients, same formulation – just differently labeled and sold in different bottles. Why does he do this? Because people don’t want to use a product labeled “shaving lotion” to condition their hair. He’s the good guy – he created a safe and natural product – but unable to change his customers perspective, he felt that he had to play into it. I see this in my workshops all the time. When I tell my students that they can use a baking ingredient to clean their kitchen, at first it sounds weird – until they make it and see that it actually works! It just takes that mind switch. I’m not saying you should try washing your hair with your toothpaste – but there are probably a few products in your home right now that you could be getting great multi-uses from, if only you look at them differently. Let’s start with your dish soap! I’m going show you how you to use the one product in 10 different ways. 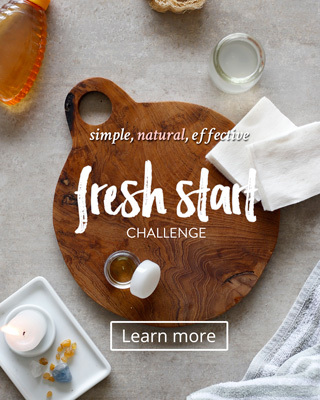 It’s going to help you save money, reduce clutter, remove the potential for toxin and chemical buildup – and it’s going to help you keep things simple! Dish soap makes a great pre-wash treatment. Soap is especially good at lifting oil, grease and dirt stains. Squirt a small amount directly over the stain and rub it gently with an old toothbrush. Do this before you put it through the laundry and it should lift right off! My daughter wears white sneakers as part of her school uniform and they turn black by the end of the week! Fill a small bucket with a solution of soap and water and clean them with a toothbrush. It’s safe on canvas, on leather and the rubber soles. Twice a month, clean your brushes in a solution of water and dish soap. It’s a healthy habit that will help keep acne-causing bacteria off your skin. I’m not a beauty expert – but I’ve heard plenty of advice to always wash your brushes with the bristles facing down – so that you don’t get water into the base of the brush, where the glue is. Give your outdoor furniture a good wash with a bucket of warm water and dish soap. Since you’re outdoors, you can then hose them down to clean of the soap – it’s much more fun that way! I learned this tip from the granddaughter of Dr. Bronners: when washing your windows, the outside of the window will get dirty with dust, dirt, mud… so you’ll want to clean that off with soap. Fill a spray bottle with water and a few drops of dish soap. Spray all over and wipe clean with a micro fiber cloth. Then rinse with clean water (she uses soda water) and use a window squeegee to dry the windows so that no water marks are left behind. Check out my post here for the cleanest windows ever! Dish soap has more suds than a floor cleaner – so unless you want some indoor slip-and-slide action, make sure to use the tiniest drop of dish soap in a big bucket of warm water. It makes a great floor cleaner – picks up all the dirt and grime – and a little does go a long way! I use vinegar to clean all around the house – but you can’t use it on natural stone like marble and granite. Vinegar eats up minerals and can dull the surface over time. It’s better to use a soap cleaner. Fill a spray bottle with water. Then add in a drop of dish soap. Use this to spray on your stone counter top and tiles. Kids, and most adults :) are easily amused by bubbles – it’s in every parents arsenal. Instead of buying and tossing out the bottles – now you can make your own bubble solution to fill a bottle or… a mini pool (true story)! Here’s the recipe: 1 Tbsp of dish soap for every 1 cup of water. Keep little critters away from your plants by spraying them with a natural homemade pesticide solutions: one tablespoon cooking oil and a few drops of dish soap into a spray bottle with water. On contact, it will kill soft-bodied bugs. To prevent caterpillars and other bugs from eating your plants, add tabasco or blend in a few chili peppers this your solution. This scrub does wonders on your pots and pans, in the oven, stove-top – in the bathtub and sinks! Simply blend together 1/2 cup of baking soda and enough dish soap to form a thick paste. It’s a great abrasive – work it onto any surface with a cloth. To finish – spray a solution of 1 part vinegar/2parts water and wipe clean. It will eat up any baking soda residue and leave your surface sparkling! Just like in the commercials – but without the chemicals! Hope you give these ideas a try! I’d love to know – what’s a product that you use differently and have found a cool multi use for?